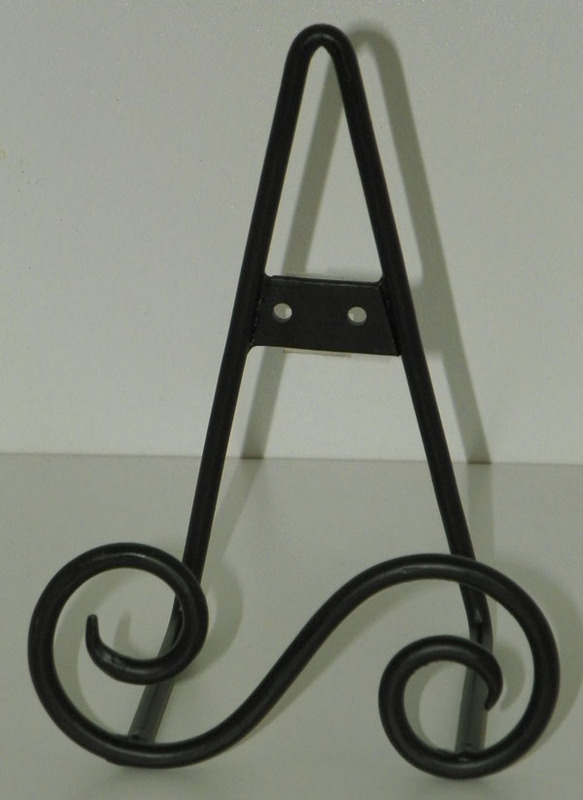 Black Plate Easel for table or wall, 3 inches deep X 6 1/2 inches high. S Shaped left stand on photo. Price is for one plate stand.